Compare the latest offers from Origin Broadband. Find details on monthly and upfront costs for April 2019. 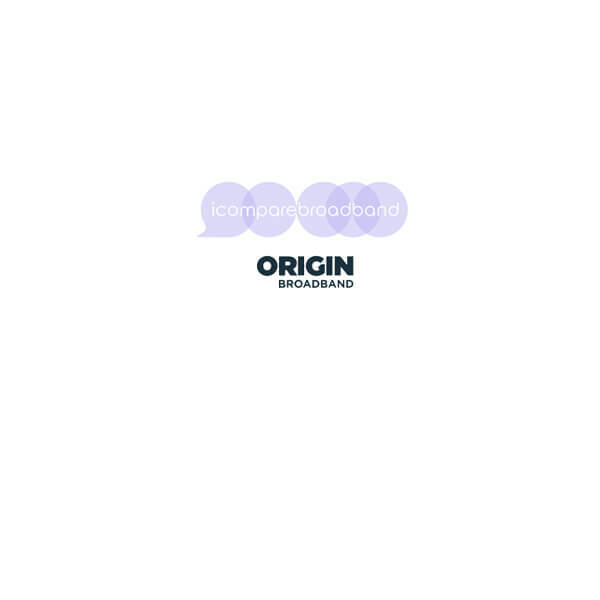 All you need to know about Origin Broadband, including FAQ’s and contact information. Origin Broadband – tell me more? Origin Broadband was established in West Yorkshire in 2011 and became quick to establish itself as a budget broadband supplier. The provider began life utilising a publicly funded Digital Region fibre optic network. More recently, Origin has gone on to run its own privately owned network and have won numerous industry awards. Services include a free ASUS DSL-N16 router. Origin state that this router is ideal for everyday use. There are two additional router upgrade options available for an extra cost: The ASUS DSL-AC56 and ASUS DSL-AC68 – both of which are attractive optional extra’s, mainly for those who are focused on streaming and online gaming. It is worth noting that, unlike most UK providers, Origin do not charge a router delivery fee. However, at the time of writing – they do expect you to pay for your first months’ subscription upfront. You can opt for a ‘Supersaver’ contract and save up to 31% on the overall cost of the term of your contract. There are various contract lengths from 12 – 24 months to consider. Basically, you pay for the entire cost of your service upfront, this means you don’t have a monthly bill and you also save as a result. For more information see the current Supersaver deals from Origin Broadband. How long is a Origin Broadband contract? Standard Broadband is available on a 12 month contract and fibre broadband on a 18 month contract. ‘Supersaver’ deals are available, whereby you can opt to lengthen and/or pay for your entire contract upfront to receive a discount. How long does it take to get Origin Broadband installed? There is no specific time given by Origin at the of writing. You will be advised in your confirmation email about when you can expect your services to go live. How fast are Origin Broadband speeds? Origin Broadband’s fastest speed is 76mb with the ‘Max’ package. However, as with all providers (except Virgin Media) – the exact speed is dependent on your distance from your local telephone exchange. What Broadband limits are there on usage? No limits on downloads or streaming. No traffic management system, meaning no slowing down at peak times.